I have reviewed their honey rose scrub in a previous post and I had really liked it. 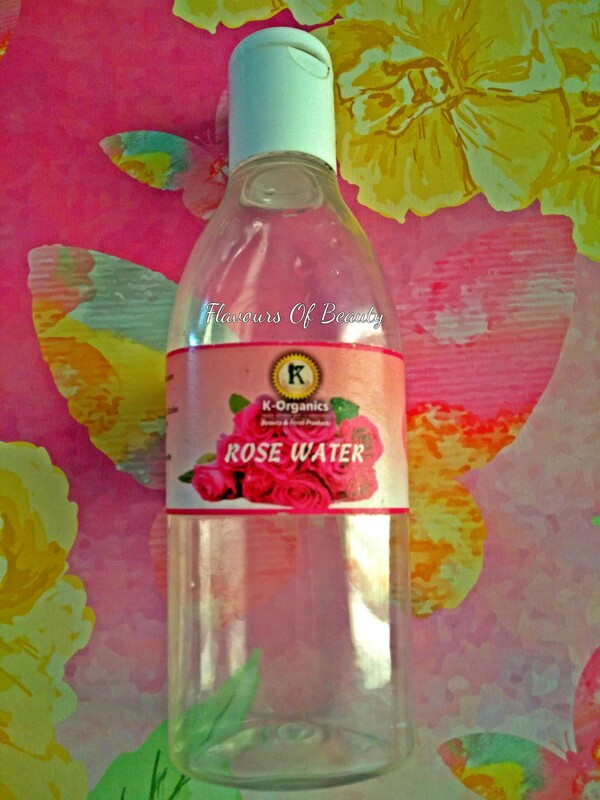 Rose waters bought commercially might not be pure rose water. Read the ingredient list carefully before buying. It might have synthetic fragrance, preservatives and parabens. Studies have proved that using such products not only damages skin in long term but can also cause health issues when used continuously for long. Pure rose water can be made easily at home by heating rose petals in water in a closed vessel in low heat for a while, till the petals loses its colour. This can be stored in refrigerator. 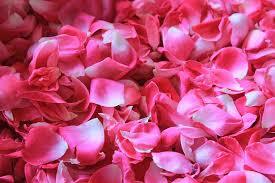 Also I have read about keeping rose petals in water exposed to sun, for all the oils to seep into water. There are brands like Kama Ayurveda and Oil Craft Naturals selling steam distilled rose water. But I find them quite expensive. So when I found pure rose water sold by K-Organics for 130Rs, I was more than happy to try it out. Benefits : Hydrates skin, reduces blemishes, improves complexion, promote cell renewal, reduce dark circles, closes pores, improves skin texture, balance skin pH, natural toner. Fragrance : There is a mild natural fragrance of rose and it is definitely not a synthetic fragrance. Also I noticed that after about 6 months, the fragrance of left over product was completely gone. Packing : It comes in a plastic bottle with screw cap. That is a low since it can’t be sprayed. I am not a big fan of toners. I don’t regularly use it in my skin care regime. But after getting this rose water, I started dabbing it on my face after I use face masks. I used it up in about 3 months and well I can’t say it stays true to its claims. It did not bring any changes to my skin tone or make it soft. It definitely did not reduce dark circles or reduce blemish. Yes it hydrates the skin, keeps it cool for sometime and reduces dryness. It did help after using clay masks that stretches the skin. So if you are a regular user of toners and would like to have an organic option which is pocket friendly, you can try this. Let me know what toners you like and if there is any that was really effective.